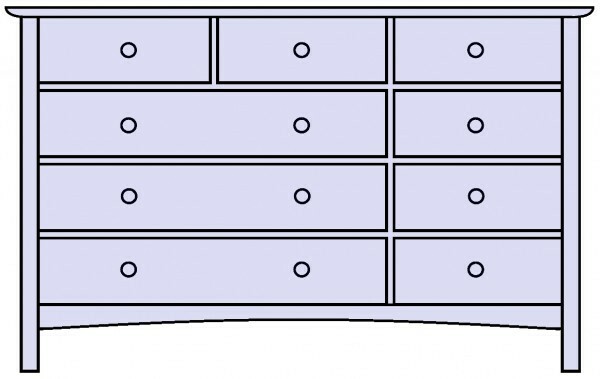 Cherry Craftsman 9-drawer dresser. Three large 33.25" drawers with six 16.125" drawers on top and stacked on the right side. 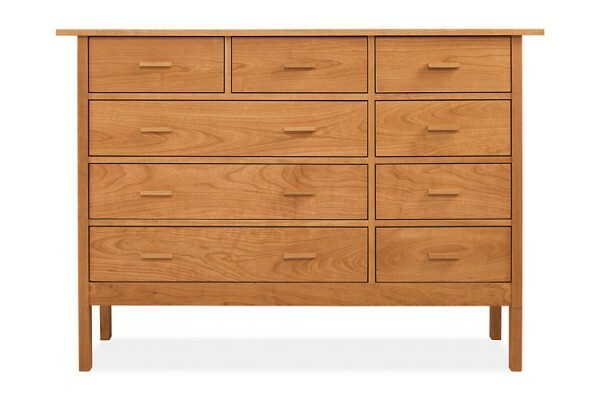 20"D x 58"W x 40.75"H . Same overall dimensions as Craftsman 8-drawer asymmetric dresser. Walnut Craftsman 9-drawer dresser. Three large 33.25" drawers with six 16.125" drawers on top and stacked on the right side. 20"D x 58"W x 40.75"H. Same overall dimensions as Craftsman 8-drawer asymmetric dresser. 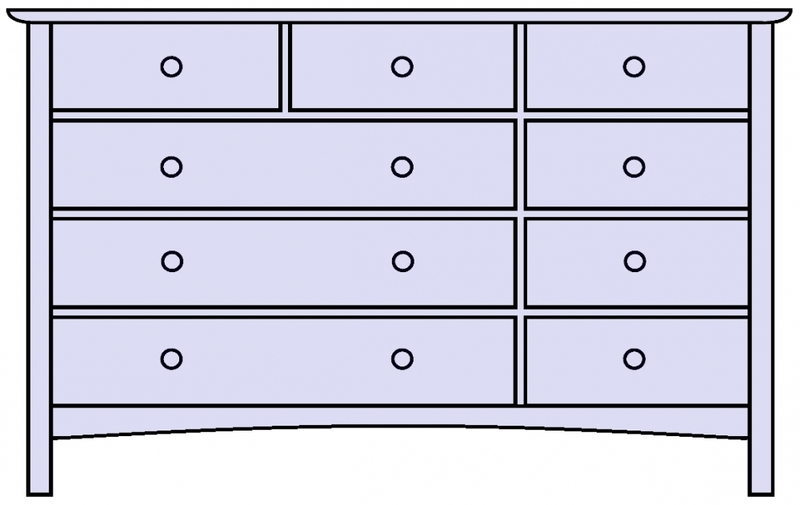 Drawing of 9-drawer dresser. Three large 33.25" drawers surrounded by six 16.125" drawers. Same overall dimensions as 8-drawer asymmetric dresser.